We often find software or utilities that facilitate the handling of a computer and this is the case of Cairo Dock. 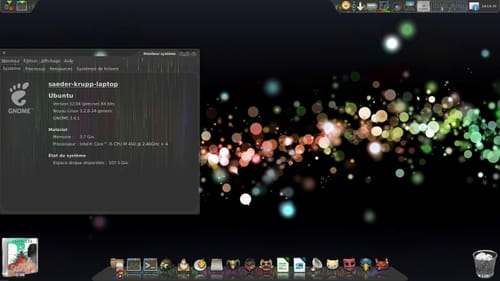 It is a program designed to be used as Dock on Linux. Access to applications: Cairo Dock allows to easily access all applications installed on the computer. This is helpful and allows important time saving as the user has no more need to perform a research task to look for a specific program. Monitoring: Cairo Dock has also a feature for keeping track of the system's health and performance. It not only keeps watch over processors but also RAM and many other system components. MusicPlayer: this utility offers the ability to get control over all media players installed on the computer. It is useful as it facilitates switching from a player to another without running them from the program list. Compatibility: what makes this software stands from any other of the same kind is the fact that it is compatible with various programs. We can cite as example Firefox, The Gimp and over more. The download and use of Cairo Dock are entirely free of charge. It is easy to install. Users can obtain assistance on the developers' website in case of potential difficulties. Latest update on April 23, 2015 at 04:25 AM.